While I am longing for spring, waiting for the first buds and bright colors, there are some among us who know better. 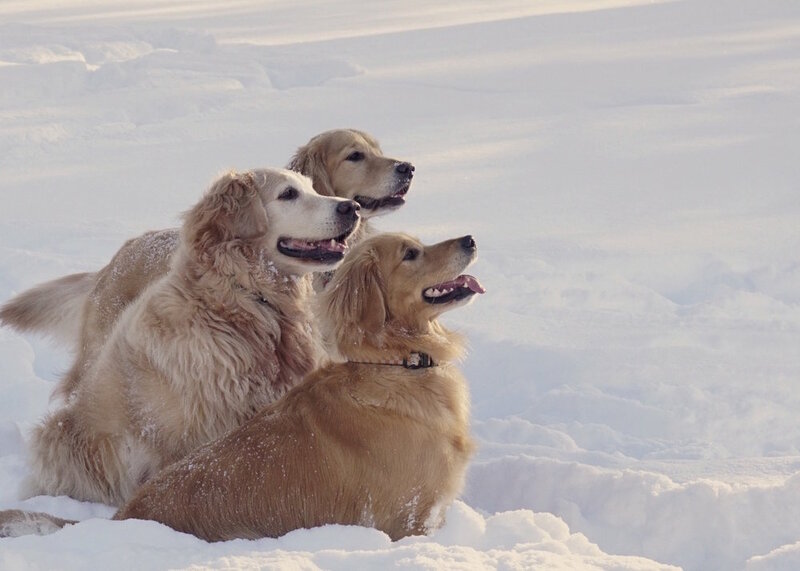 They know that today is a day to play in the snow. To romp and run, jump and roll. Ready, set, go dog go. Soon enough the snow covered field with be grassy and green. And guess what, these three will play just the same on that sunny day. It was a good reminder to me that it is my attitude, not the weather that determines what I make of the day. To take this photo I set my white balance on 6200k so the snow would not be blue. I used a fast shutter speed 1/700 to catch the action and then I moved around to all sides of the trio until I had a nice clean background.